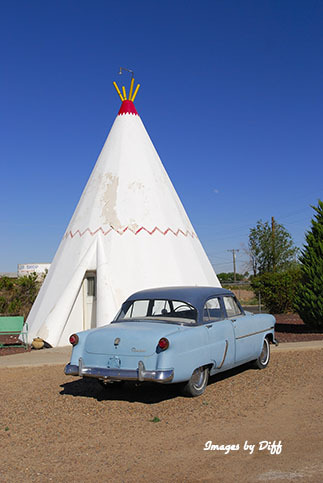 click photo to enlarge The only pictures I have of Holbrook are the Wigwam Motel. While I keep wanting to spend the night in these things it wasn't to be this trip either. 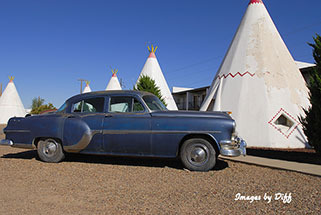 You see, being on Route 66 they are very popular and you need to have reservations. When I inquired they were full for the night. 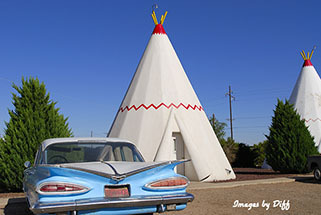 This Wigwam village was built in the 1940's by Chester E. Lewis and it is still owned and operated by the same family. 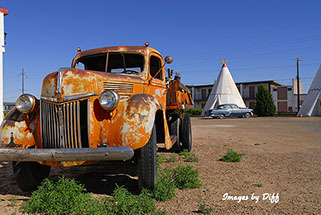 click photo to enlarge There are many vintage cars around the property. 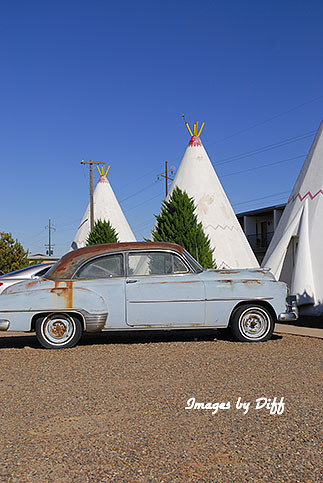 During Route 66's heyday to bring tourists in you needed something a bit out of the ordinary and these are sure out of the ordinary. 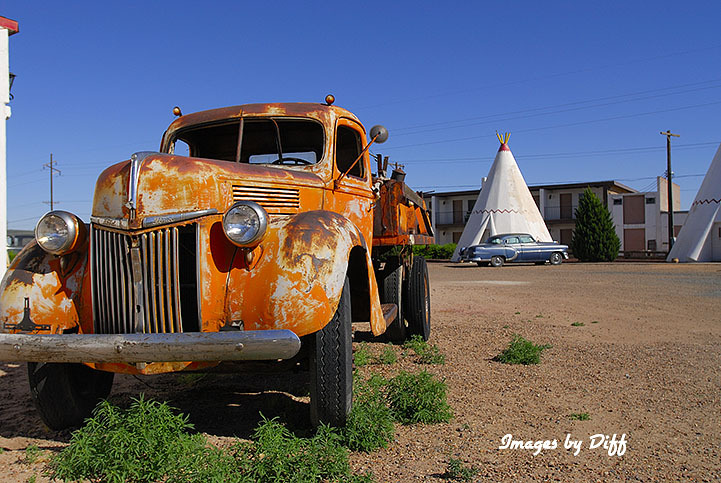 The owner is in the process of updating the plumbing in all of the Wigwams. You will also notice some have a fresh coat of paint and others do not. There were seven of the Wigwam villages built from 1930 to 1950 from Florida to California.. The design was by Frank Redford. The first ones were in Cave City Kentucky. There is also one in Rialto California on Route 66 that has been remodeled in the last few years. click photo to enlarge Each time we are going to be staying in the area I want to stay here but Karen wants to stay at the remodeled Harvey House LaPosada not to far away in Winslow AZ. Guess who wins out.